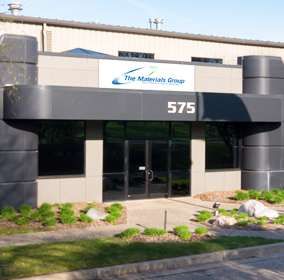 The staff at The Materials Group has over a century of combined experience in the plastics industry. Our Corporate Office and Distribution Center in Rockford, Mich., consists of a 70,000-sq.-ft. facility that houses our distribution, testing, dry blending and mixing operations. As distributors and compounders of plastic resin, our focus is on customer service; our ability to offer quality engineered thermoplastics, compounded materials and recycled resins at competitive prices is second to none. We are specialists in providing our customers with a wide array of alternatives for their plastic resin needs, all while meeting customer specifications. We also offer technical and consultative support to assist in your operations. Manufacturers across the U.S. rely on The Materials Group for the engineered thermoplastics and technical consulting they need. They value the unique combination we provide, as both a distributor of stock plastic resin from major companies and a manufacturer of our own proprietary line of engineered thermoplastics. Our dual focus means TMG can meet customer requirements for anything ranging from small, cost-conscious purchases to major, long-term orders spanning a variety of materials and time periods. Our customers know they can trust TMG’s commitment to quality and dedication to customer service to deliver the resins they need on time and on budget. You can trust us too – we’ll listen to your concerns, recommend the right materials and provide the technical support you need to get the job done. For more information, take a look at our line card, browse our data sheets and then contact us to the plastic resin and technical support you need.